Broad humor and bitter irony collide in this fictional autobiography of Rabo Karabekian, who, at age seventy-one, wants to be left alone on his Long Island estate with the secret he has locked inside his potato barn. But then a voluptuous young widow badgers Rabo into telling his life story. I would call this the most mature of any of Vonnegut's books that I have read so far. I know that Vonnegut began his novel writing close to the age of 30 which is considered an adult but his work still lacked maturity. Which can be a good thing as his earlier works were meant to be biting satire and not high literature. Bluebeard is more melancholy and less slapstick than Slaughterhouse-Five and Breakfast of Champions which he is more renowned for. It has a more subtle humour that lends itself to better storytelling. This perspective and style work really well when looking at life through art. 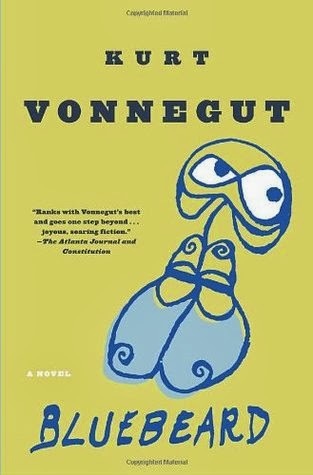 I felt I was looking into Vonnegut's heart and mind as I read each page. The medium is different but the message is the same. This really make's McLuhan's quote “the medium is the message” resonate with me. That's not to say he doesn't take the occasional bite out of how we view the art world. He does, and with great relish. I think I've found a new favourite by Mr. Vonnegut and one I would rather use to introduce people to the real brilliance of his writing.